As we all know that Android phones are vulnerable to malwares attack which can be spreads in different ways. And now there is another info according to Pentest that says Flash keyboard contains malware. I'm sure by now you might have seen their adverts everywhere both on Facebook, Google adword and more other. They spent to make this app popular. 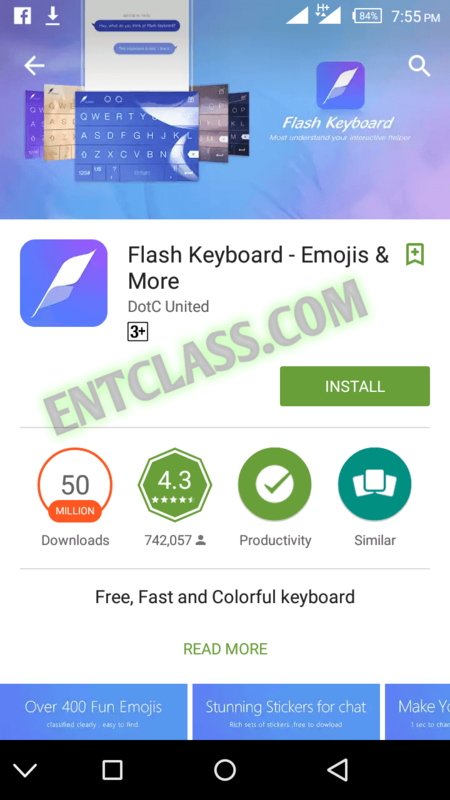 According to records, Flash Keyboard has been ranked number 11th on Google playstore hitting over 50million downloads on Google playstore. 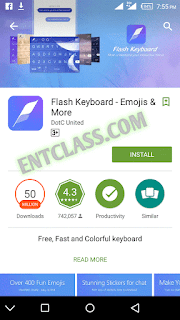 A group of people has discovered that this so called keyboard app contains malware which is not safe for users. It was discovered by a UK-based cyber-security firm by name Pentest . They found the keyboard to be asking for “excessive permissions”, displaying infected ads, asking for admin privileges in order to make uninstall very difficult, monitoring user behavior, and then sending data to servers in China without the user’s consent. 1. The app were asking for access to phone’s Bluetooth connection, geo-location and/ or Wi-Fi connection which a normal keyboard app shouldn't ask for. 2. The app always ask users to hibernate background running apps, read SMS, show system overlays, or remove download notifications. Pentest says that a normal keyboard app shouldn't be asking for such permissions. 3. This so called app asked for admin access so that it can have access to your lockscreen and display irrelevant ads to you. 4. This app collects your details and forward it to a secret server located in China. This app also collects your device details such as your email address, your device manufacturer, your model number, your device IMEI and your Android version and sends it to a server located in US, Netherlands and China. 5. That's not all, this apps collects details of the current connected Wi-Fi network and others around you, the ID of the network you are using and GPS within three meters of the that user. This is serious, you guys should be careful of what you download. It cannot be a keyboard. Malware can be transmitted using other apps. There are many Keyboard apps which are good, Swiftkey keyboard is there, GOKeyboard is there and also Google keyboard. These keyboards are highly recommended. Kindly share this post using the share buttons below to save others from installing this keyboard. Blood of Zachariah..thanks for this update.